Hotspot (Public Wireless Internet Access, WiFi) is widespread and commonly available in hotels, cyber-cafes, coffee bars, airports and other public locations. Most Public and Corporate WiFi Hotspot solutions consist of a simple WiFi “access point” plus a proprietary “hotspot controller” which manages authentication and connection through to a billing system. In comparison with existing “2 box” solutions CableFree provides higher levels of integration with a single-box Hotspot including WiFi access point plus hotspot controller features including authentication, connection to a billing system, bandwidth-per-user control, firewall, traffic shaping and anti-virus/worm suppression. Cloud Management is fully supported. 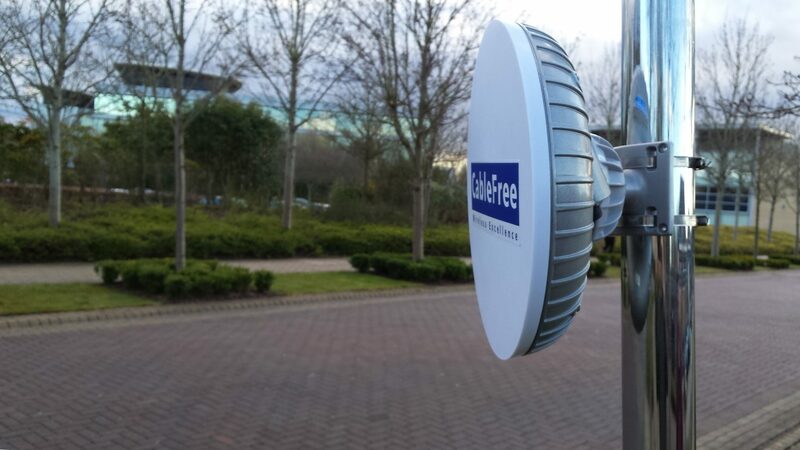 A CableFree Hotspot can use either fixed line (ADSL, lease line) or wireless backhaul using an optional second radio card. In a typical wireless application, the WiFi Hotspot operates in the 2.4GHz band, with backhaul in the 5.8GHz band to a major network node. Options including 3G and 4G/LTE cards for backhaul over cellular networks for remote locations and also for mobility on buses, trains, trams and other mobile platforms.